There's so much to experience at the Oregon Coast. Find something for any time of the year. -- We're always adding more! Looking for beach access? Here are several locations to choose from. Enjoy the sandy beaches, local wildlife, and beautiful Oregon waves! Enjoy great food and drinks while you play the slots, table games, Bingo, Keno, and poker. World famous places, aquarium and wildlife, and so much more! Beautiful surroundings while you walk the greens. All levels of trails and hikes to choose from. Explore the Oregon Coast and experience amazing views. Learn the history and see the sights. 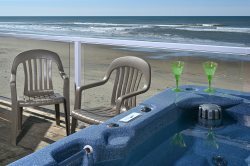 An Oregon Coast experience not to miss! This history and the modern of the Oregon Coast. You can even find special keepsakes to take home! Sit back and enjoy manicures, pedicures, and massage! Walk the beach, take a tour to view the resident whales, go surfing, head out paddle boarding, take off boating. There are so many ways to enjoy the waves.